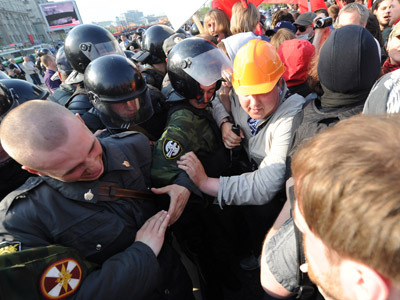 A district court in Moscow has ordered police immediately to stop the opposition protests in the city center after a number of district residents complained about disorder and damage to grass on the Boulevard Ring. The court added that the order should be executed immediately and the head of the city’s department for public security has told the press that measures would be taken on the same date the court ruling was made. The police said that they would first explain the protesters the essence of the ruling and ask them to leave. Those who do not comply with these demands will be detained, they added. 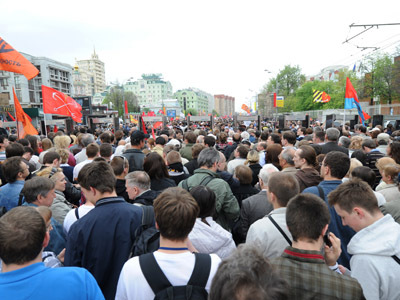 Opposition MP Ilya Ponomaryov has announced that he had already received permission for the rally in a different location – the square near the Karl Marx statue, not far from the Kremlin. 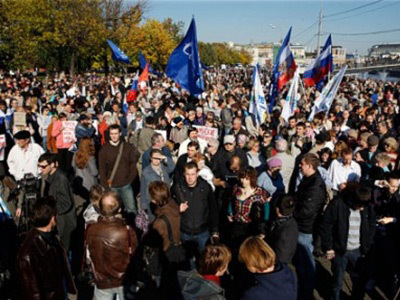 The court considered the case after a group of residents of Moscow’s Central Administrative District filed in a complaint over the protests, in particular mentioning the noise and destroyed grass. The city authorities estimated the damage at 20 million rubles (about US$700,000). City experts said at the court hearings that the figure might seem excessive, but asked the judge to bear in mind that the boulevard should be considered as art heritage. 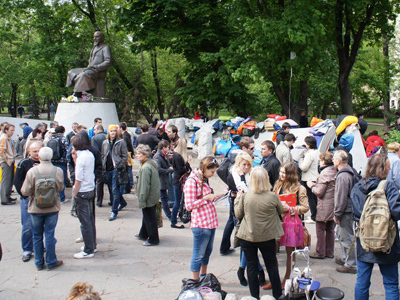 The complaints appeared as hundreds of members of the May 6 opposition march announced that they planned to set up a permanent camp on Chistoprudniy Boulevard in the city center, near the monument to the Kazakh poet Abay Kunanbayev, calling their action “Occupy Abay”. As the relatively warm spring weather changed to rains, the number of protesters dropped further to just a few dozen at night.